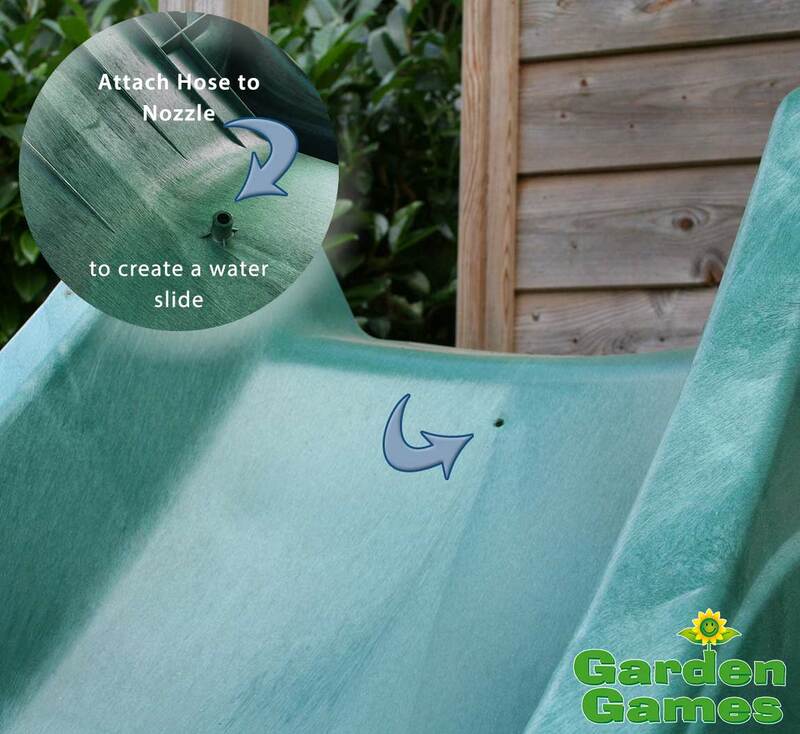 This Green Wavy Children's Garden Water Slide is 3 metres long and perfect for a climbing frame, tree house, playhouse or DIY play equipment project in your garden. 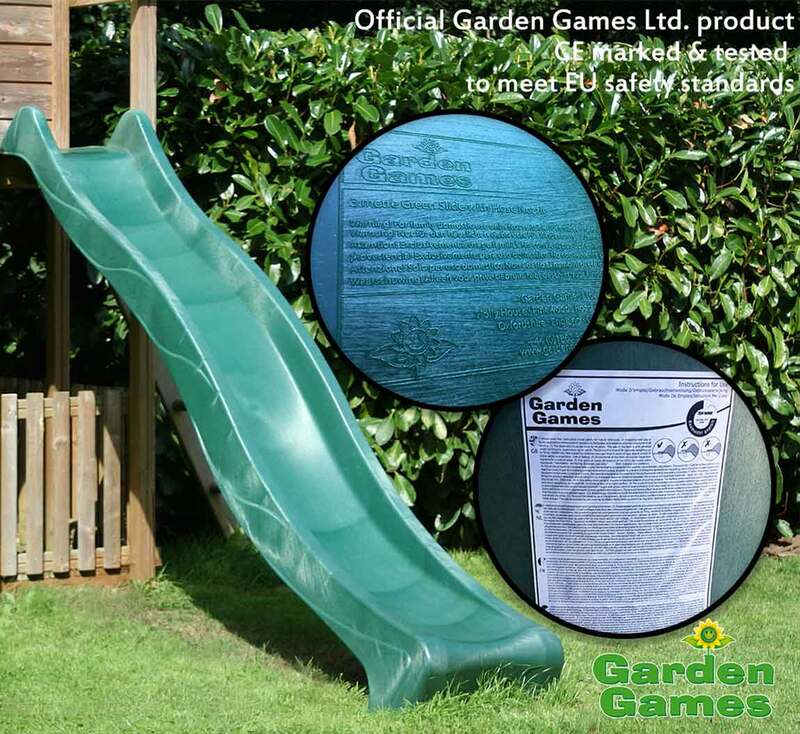 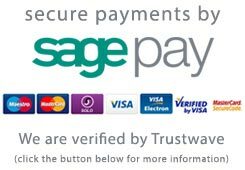 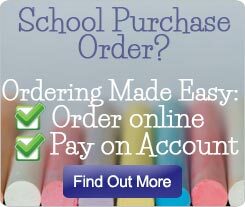 For a very reasonable price you can add a slide to your project with ease - giving your children that little something extra. 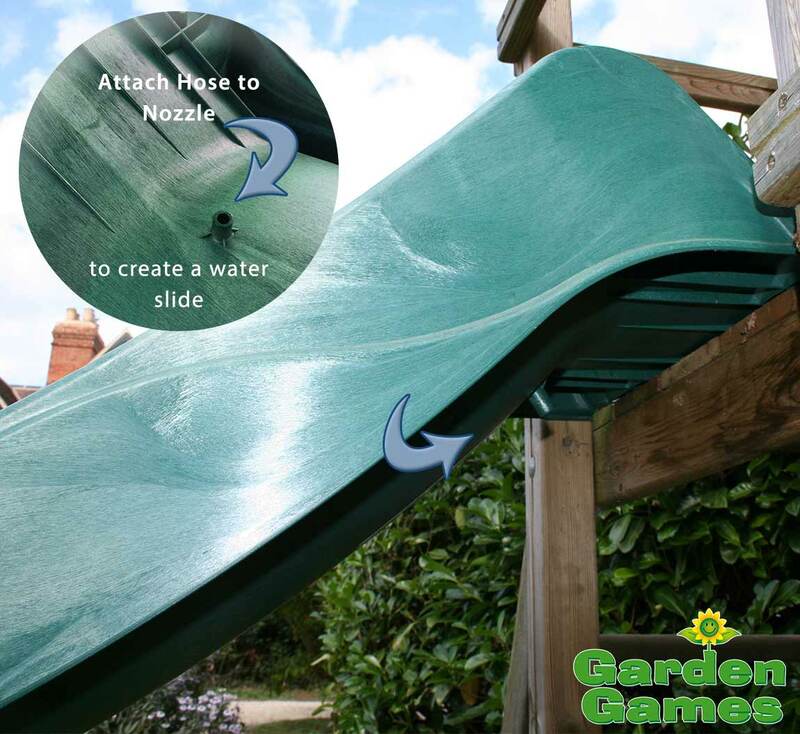 The slide is easy to install, comes ready to simply screw to your chosen platform using two 5-6mm countersunk screws. 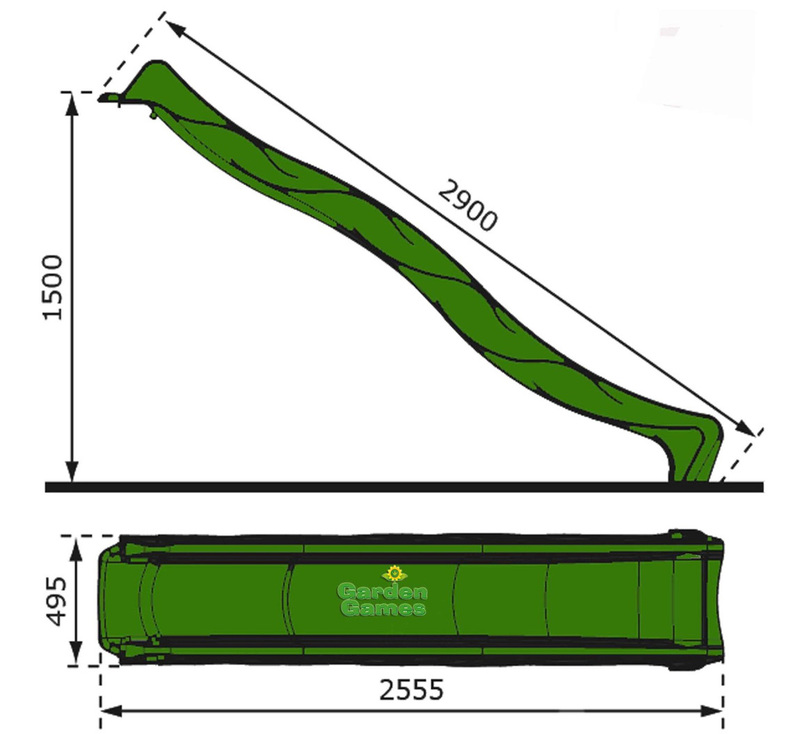 The plastic is extremely tough and hard wearing - made from a high density plastic material which will not fade easily so the slide will maintain its high quality appearance for a long time. 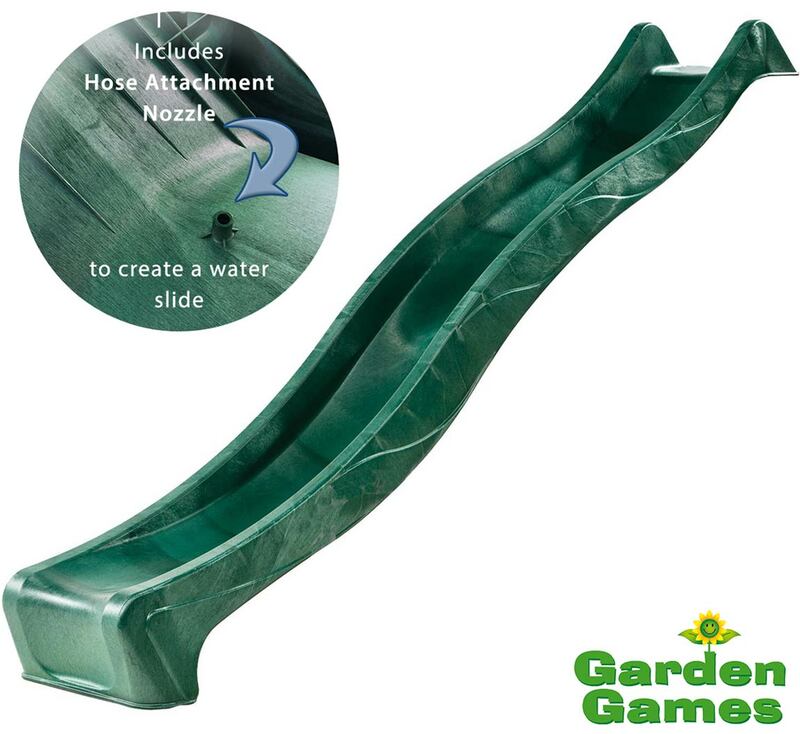 It is corrosion proof and will not be affected by any cleaning agents you may want to use to keep the slide clean. 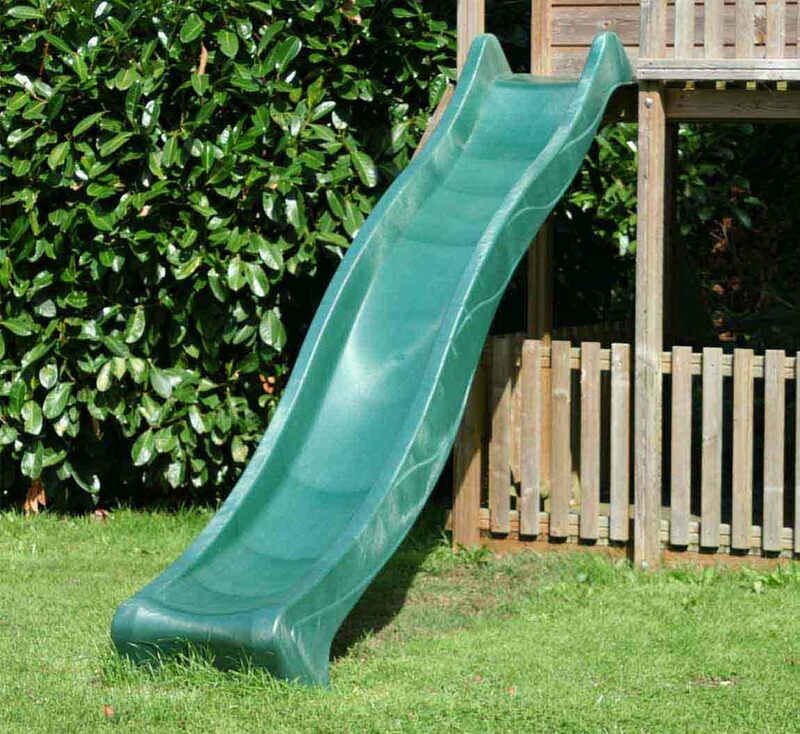 The slide also has a raised end to slow your children down at the end of the slide. 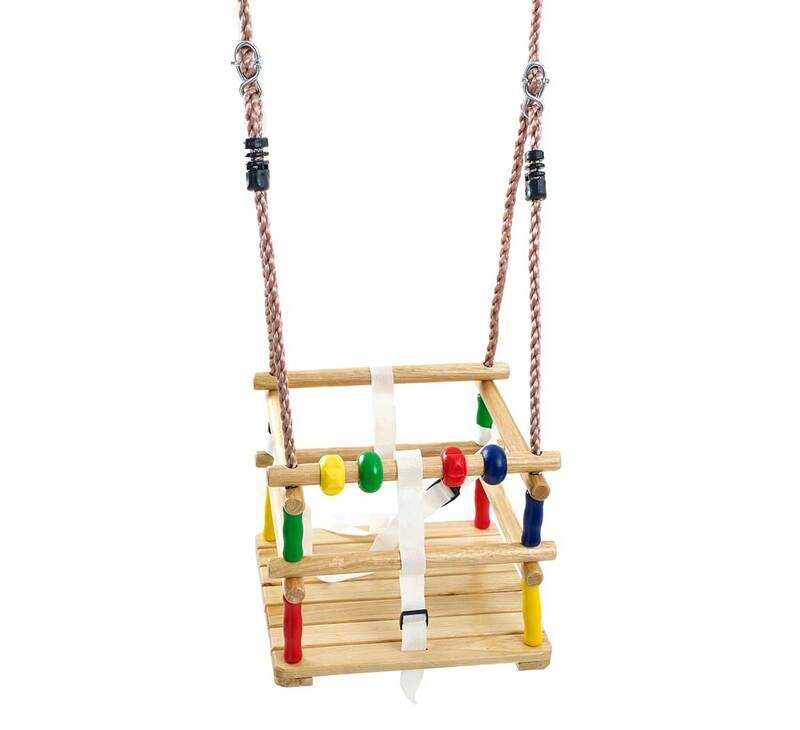 This will help them land with their feet on the ground at the bottom of the slide.